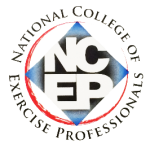 Earn up to 12 CECs/CEUs from ACE, ACSM, NASM, NFPT, NCCPT, WITS and more! Use coupon code FEMALE50 to save 50% for a limited time! Did you know that over 60% of clients who work with a personal trainer are women? The female system is undoubtedly complex, resulting in unique challenges when it comes to achieving goals and maintaining results. Do you truly understand how the female body changes over time, the influence of hormones and the effects of specific exercise protocols? The Functional Programming for the Female Client Certificate program was developed to give you the tools to succeed with your female clients. Learn how to tap into this huge market and set yourself apart by diving deep into the anatomy, physiology, biomechanics and most common health dysfunctions, so you can create unique programs that deliver real results. In this comprehensive certificate program, you’ll not only get the tools to help your female clients look and feel better, but you will also learn how to solve problems your clients never realized could be solved in the gym! From losing weight and getting lean, to common aches and pains, and pelvic floor dysfunctions (affecting one in three women!) it’s all here! Learn programming for women at all stages of life, gain a deeper understanding of the role of nutrition, hormones and strength training, and get the tools to put it all together for breakthrough results. 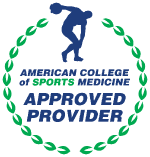 Up to 12 CECs/CEUs from ACE, ACSM, NASM, NFPT, NCCPT, WITS and more! Define the top exercise strategies for women. Explain how hormones affect women at different stages in life. Describe the important factors affecting resting metabolic rate in females at specific stages of life. Describe various nutrition strategies based upon calorie intake and exercise expenditure. Explain the physiological differences for women regarding hormonal fluctuations, storing body fat and the role of growth hormone secretion via exercise. List 2–3 examples of stabilization exercises to combat postural challenges. Identify the connection between the gluteals, the 3-dimensional core and the pelvic floor. Develop exercise sequence to enhance stability and mobility at the lumbar spine and pelvis. Identify the role of the glutes in optimal lower-back health. Explain the functional relationship of the PCNS in reference to the client with pelvic core dysfunction. Describe how to functionally stimulate the PCNS and how it applies to core stability. Explain the postural challenges affecting women through pregnancy and postpartum. Design safe post-pregnancy exercise programming. List specific strategies to build trust with your female clients. Describe how to screen and program to start female clients out with confidence. Describe how to offer challenges to keep female clients motivated and focused. 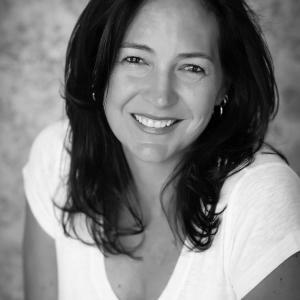 Christina Christie, PT, CCE, FAFS, FMR is the president of Pelvic Solutions, LLC and inventor of the Pelvicore™. 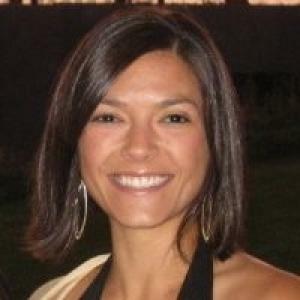 She is a senior physical therapist and the Women's Health Manager at Athletico Physical Therapy in Park Ridge, Illinois. She is also faculty for the Gray Institute and the developer of the CEC the Female Chain Reaction. Christina specializes in the evaluation and treatment of women’s health issues, orthopedics and sports-related injuries. She is also a childbirth educator and has lectured extensively on the evaluation and treatment of women’s health for the APTA, IDEA and in other settings. ... read more. 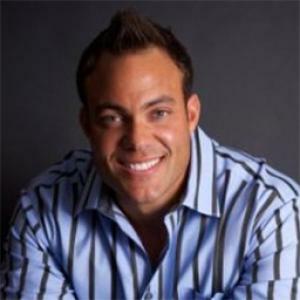 Scott is a nationally recognized award winning speaker who has been published over 100 times, and has been featured in educational webinars, videos and DVDs sold worldwide. As a well-recognized industry leader with extensive experience, Scott delivers tremendous passion and influence to vast audiences, associations, communities, corporations, private groups and a vast array of health, fitness and wellness professionals. 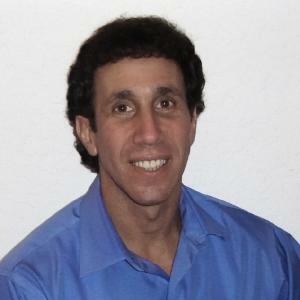 Scott is the recipient of the 2005 Director of the Year for Teaching Excellence, the 2010 Specialty Presenter of the Year, the 2011 Citizen of the Year Award, and is on the International Advisory Boards for the American Fitness Professionals and Associates, and the Canadian Fitness Professionals and Associates. He previous served as an operating partner at The Center for Nutritional Research and Treatment, and as the Director of Operations at the world-renowned Hippocrates Health Institute. ... read more. I am the owner of Results Fitness, a fitness center in Southern California. I am the author of the book The Female Body Breakthrough published by Rodale, with my second book scheduled to be released in January 2013, I have my own column in Women's Health Magazine, and I am a contributor to many fitness publications including; Women's Health, Men's Health, Runner's World, More Magazine, Men's Fitness, Oxygen, and Muscle & Fitness Hers. I have worked as a consultant to Fortune 500 companies including Gatorade, Secret Deodorant, and presently Nike. I am passionate about changing the way fitness is done around the world, and I'm determined to help as many women as possible have their own breakthrough and achieve their full potential. ... read more. With nearly 20 years’ experience as a personal trainer, group fitness instructor, and educator, Farel Hruska worked with FIT4MOM since March 2002 as Global Fitness Director and Pre/Postnatal Director. Farel is presently the Director of Education & Culture at Chuze Fitness. Hruska has also presented at numerous fitness conferences including EMPOWER, FitFest, SCW, Asia Fitness Conference (Bangkok), MEFIT PRO (Dubai), Fitness Fest in Guangzhou, China and IDEA (PTIs and WORLD) numerous times, covering the topic of pre- and post-natal fitness, as well as, general fitness education. Having been a regular contributor to Active.com for her expertise on moms returning to running or starting for the first time after having a baby, Hruska has been featured by numerous press outlets for her fitness expertise, including CNN, New York Times, WebMD, Women's Running Magazine, SheKnows.com, Pregnancy.com and many more. 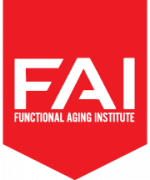 An international educator and presenter in pre- and post-natal and overall fitness education, Hruska is an approved Continuing Education Provider for ACE and AFAA. Hruska graduated from Pepperdine University and is the mother of three daughters. ... read more.